Getting the right tools for small businesses is essential. You need to make sure that they fit the way you do things and that you get what you want from them. 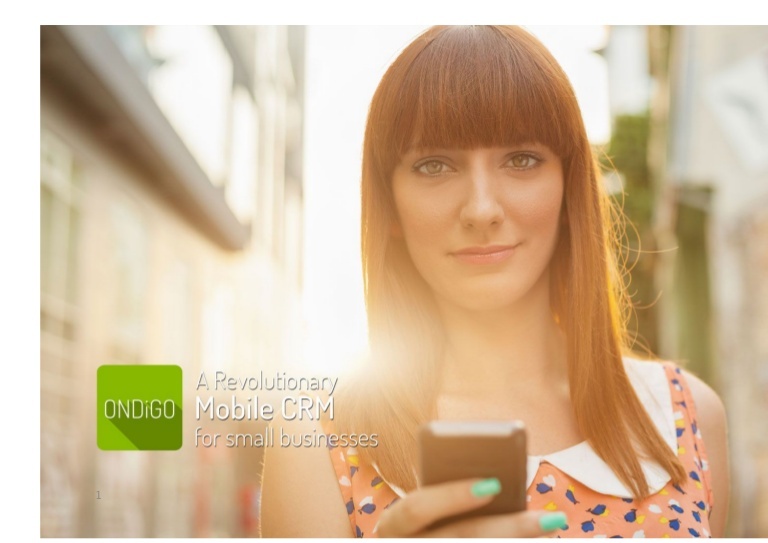 Take for example ONDiGO, an easy-to-use, on-the-go mobile CRM that helps you interact with customers, take important notes, and organize data to help you manage your business better. 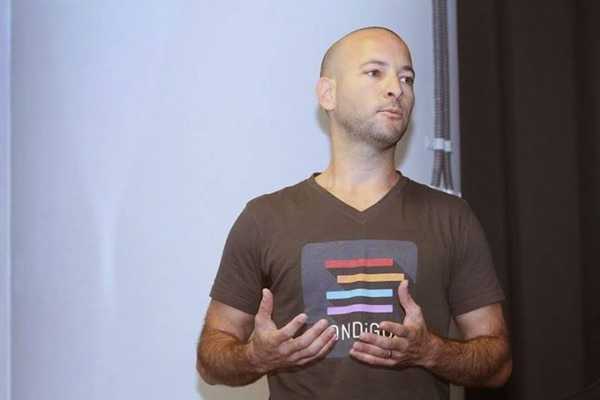 Ohad Oren, CMO and Co-Founder of ONDiGO, visits with KillerStartups to share his inspiration to be the change he wanted to see though this revolutionary mobile app. Check this out! It might just change your life. What’s your company about? What do you do? Who are your customers? 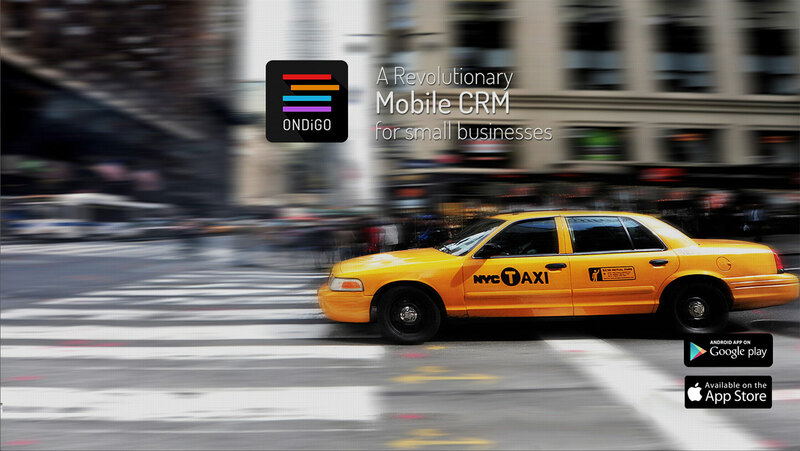 ONDiGO is a Mobile CRM for Micro Businesses. ONDiGO adapts to the way people actually work nowadays, disrupting the way customer databases are built – automatically, from day-to-day interactions conducted on mobile devices. What’s the greatest thing about your company/website? Why is it better than the competition? My first computer was the commodore 64, and I was around 16 when I first got on the www. I start to work at 8am, on the way to the office, and end my usually around 2 am, when I take a break at the evening to be with my wife and my amazing kids. Oh… that’s hard to tell. Alone? With my parents? I think it was a two week tour of Spain and Portugal. When do your best ideas come to you? In bed in the morning? During dinner? On your third beer? My inspiration usually comes late at night, when everything is quiet and the rest of the world is sleeping.. When we started we were 3. Now we’re 6 full time, 2 half time and about to expand. I have always been running my own businesses, and could tell the difference between talkers and doers. I believe I’m a doer. It’s great to dream, but it’s not enough. The real challenge is to go after your dreams. And the biggest credit has to be given to our amazing wives and families, for all the support we’ve been getting..
It’s not that far away ;-) Just to convince ourselves to continue everyday. Doing the same things. Looking at the money at the bank running out. Answering questions of friends and family: “Yes, I still doing that! !” But the hardest thing is continue to work and push everyday when you don’t know what tomorrow brings and what will happen in the future.. I believe that everything happens the way it should happen, and everything has a reason. It makes things easier. The frustration comes after you work so hard and you see that what you’ve done is not enough. People still don’t get it. Don’t understand your product. It’s a huge challenge, but you just need to continue perfecting your product to the point it will do for others what it does to you. Sometimes it’s busy, crowded and noisy, and on other days it’s all quiet and empty.. I listen to music, watch short videos. Don’t really play video games anymore.. Known as the salesforce for the small businesses of the world. And as the technology will progress, ONDiGO will be able to do even more things automatically, thus becoming a turn key solution helping small businesses manage their business from anywhere and anytime. Who or what inspires YOU? Role models? Quotes? Running? Video games? Snack food? I’m inspired by powerful spiritual people who changed the world to what we see it today. For example: Mahatma Gandhi – “Be the change that you want to see in the world.” and “Live as if you were to die tomorrow. Learn as if you were to live forever.” But he us not the only one, just a very good example..
How’d you fund this venture? VC? Self-funding? Crowdfunded? Where’d you get the money, man? We’ve been working hard most of our adult lives, and self funded ONDiGO for a very long time. Recently we received a little funds from angel investors to help us grow, and we’re currently raising our seed from angel investors. Never stop dreaming. Believe in yourself. Listen to everybody but don’t lose your head – these are just other opinions. Make sure you have some money in your pocket before you begin, it will take longer then you expect. And one technical advise, search for the free tools of the world – there are a lot of them and can get you more then you dream. What other advice do you have for other entrepreneurs struggling to get started? Share your ideas. Collaborate. Talk to people. Probably spent a lot less, living off some quiet place with lots of trees, lakes and beaches, taking a lot of family and friend to visit us, and having good time. Do you consider yourself a successful entrepreneur? If not, what’ll make you feel successful? Yes, I consider myself successful entrepreneur, and successful person in general. I set myself goals and make sure they happen. Top 5 websites you couldn’t live without and why? Google – Well it’s kind of obvious. Just the ability to search and actually find what you’re looking for is awesome. Youtube – Accessible videos, how-to’s etc. Fiverr – Cheap marketing ( or just about anything ) tools. Gmail – ( Before I used Yahoo mail ) – connecting to other people. Skype – it’s more of a service then a site, but it changed my life being able to connect to my family and friends from afar. Top 5 mobile apps you’re in love with and why? WhatsApp – connecting, massaging, group messaging. Feedly (used to be google reader ) – this is how I get my updates from the world. Facebook – This is how I’m getting updates about my circles. Evernote – getting my notes synchronised between my devices. What is your music streaming player of choice, and what are you listening to right now? Soundcloud – Listening to music friend upload. I listen to variety of styles. Brazil – Never had the chance to visit. Amazing beaches, awesome people. Great weather. Three people (other than you) we should follow on Twitter and why? 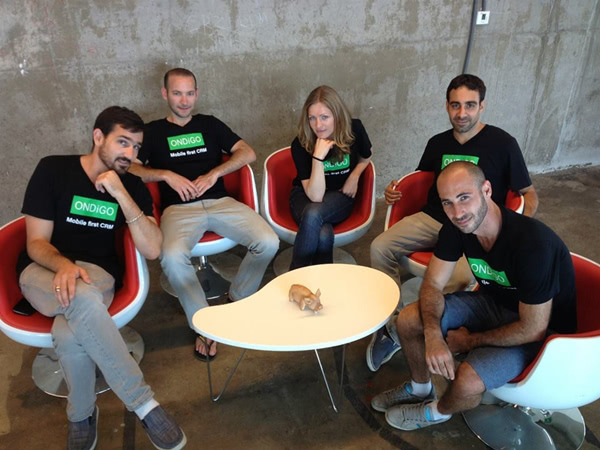 Tristan Kromer – Leading the lean startup circle in SF and in general a great guy. Aaron Levie – don’t know if he comes up with his Twitter content or not, but it’s great. Buffer – Great service, great ideas, great posts. Please share some specific numbers (funding, revenue, visitors) that highlight your growth. As of today raised $120,000. Got 2500 small business that are using our service regularly, and a few partnerships in place. Where Can Our Readers Find You Online? Author	: Roger Samson Jr.